Asanka, 01 Jul 2011how to upgrade Android OS, v1.6 (Donut), upgradable to v2.1 ??? help neplz contact sony service center. 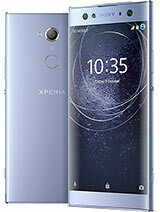 hi, how much is Sony Ericsson Xperia X8 for now..
Primark, 28 Jun 2011don't forget to do a fullwipe of your phone, go back to xrecovery then try to to a fullwipe, i... moreya buddy i did full wipe.....can u tell me easy process to make it functional plzz......my mom is killing me.....as i bought tha phone last month! Its realy good one. Is it possible to voice record? if yes let me know. can cdma data card card(usb net connect) can be used on x8. I love this phone! The camera is cool for 3.2M , the single problem that I have is the volume call when set on medium or max is loud but flinching very bad :( I`m sending the phone back under warranty! how can i install (game, application & etc..) to sony ericsson x8. does it open office and pdf ?